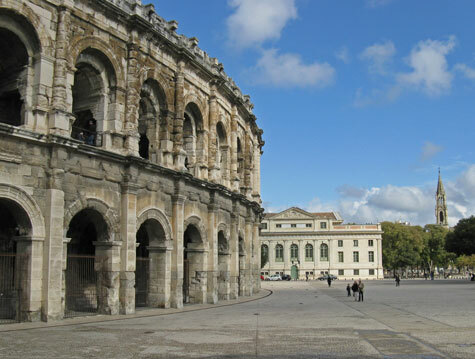 Famous landmarks in Nimes include the 2,000 year old Roman Amphitheatre, Magne Tower, Nimes Cathedral and the Maison Caree. Other top attractions are the Archaeology Museum, Porte Auguste, Temple of Diane and the Jardin de Fontaine. A variety of good hotels can be found in the Nimes city centre and near the two nearby airports. Nimes is connected to Marseille and other cities by train. Although Nimes does have an airport, most tourists use the Marseille Airport.